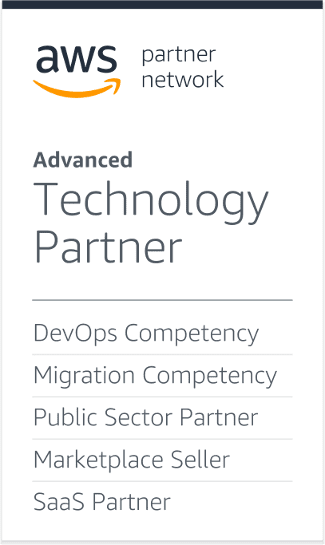 Dynatrace gives you full visibility into your Amazon Web Services environment. 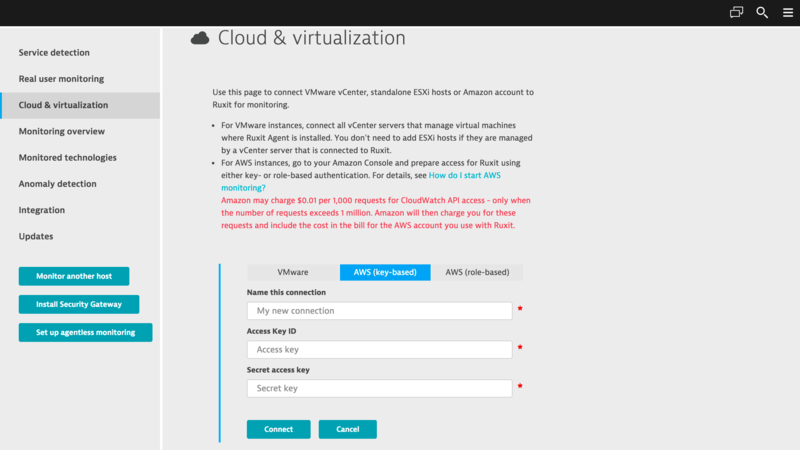 Know when you’re running AWS resources at less than optimal levels. Tweak your AWS environment for your application needs and get the most out of your cloud infrastructure. 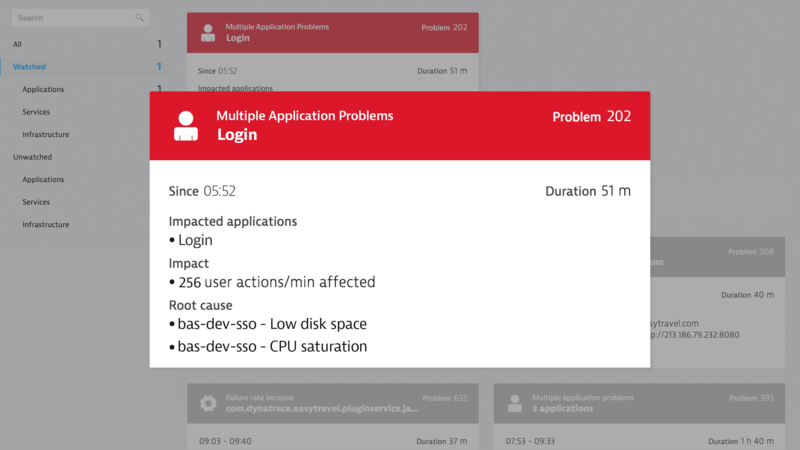 Dynatrace shows you whether or not your applications are performing as they should. Keep up with cloud dynamics and understand your deployments with a real-time map of applications, services, and AWS resources. Know that your AWS-deployed applications are delivering the user experience you expect. Have everything you need integrated into a single monitoring tool. Leverage Dynatrace for true full-stack application monitoring—from real user experience, to application performance, to code-level and infrastructure health. 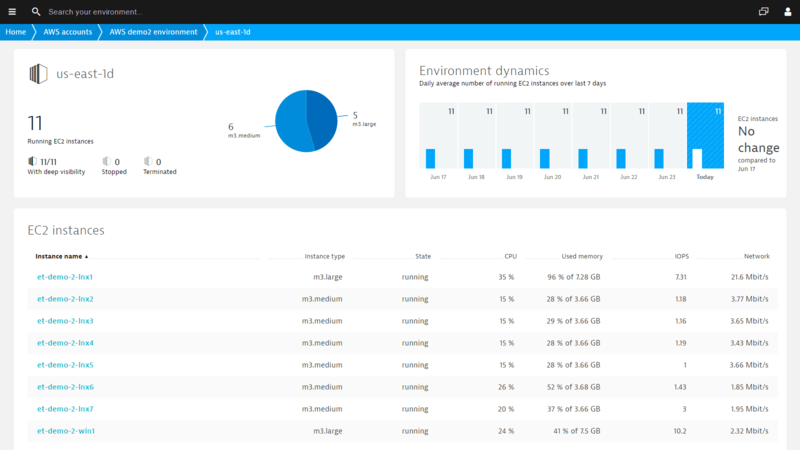 Start monitoring your AWS environments with Dynatrace! Dynatrace detects problems throughout your entire stack—from infrastructure to user experience—and correlates related incidents into actionable problem detail cards. Deep data analytics allow Dynatrace to pin down the source of application problems and user-facing slowdowns. Dynatrace notifies you of problems in your AWS infrastructure components including Amazon EC2, Amazon EBS, Amazon ELB, Amazon S3, and Amazon RDS. Dynatrace automatically discovers all Amazon EC2 instances running in Availability Zones by leveraging the Amazon CloudWatch API. You see a comprehensive overview of all important metrics in a single view. 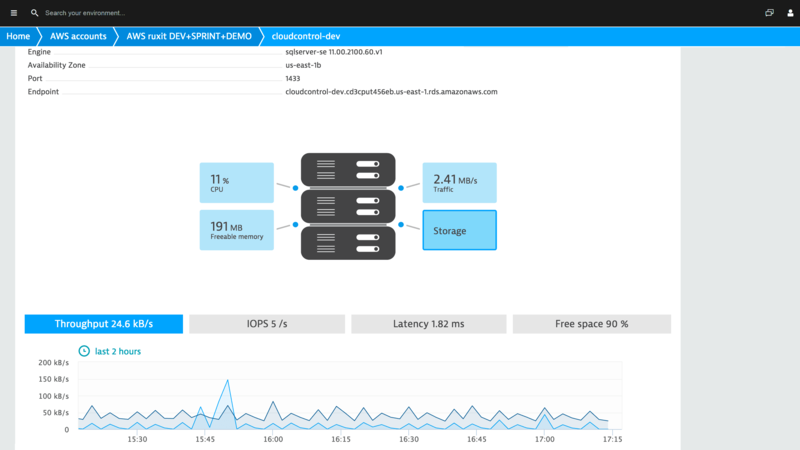 Dynatrace learns the details of your elastic cloud environment and keeps you updated on the launch and termination of instances. View a real-time map of your applications, services, and AWS resources. See how components communicate with one another. Understand if your architecture and environment are working as designed. Understand your Auto Scaling groups at a glance and identify overloaded groups. Track unexpected increases or decreases in the number of running instances. Dig into instances to see the resource consumption of all related services. Optimize Auto Scaling rules based on usage patterns. Gain immediate insights into the health of your Amazon RDS components. View Smartscape visualizations to see which services make use of each AWS resource. 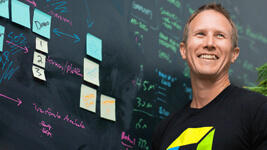 Dig into your database service and see all applications that query it. Inspect queries and response times to optimize your application services’ access to your databases. 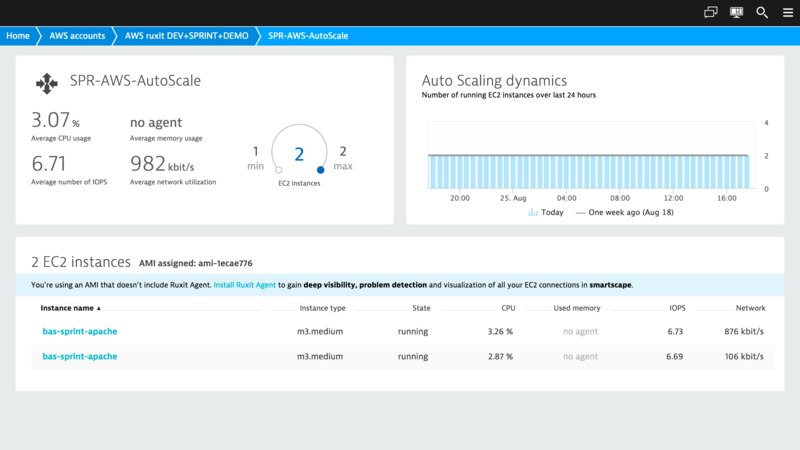 Dynatrace helps you get the most from your AWS infrastructure with AWS monitoring. Track all running Amazon EC2 instances and know when resources are being utilized at non-optimal levels. See which instances are costing you more than they should by providing more power than necessary. Save money by optimizing instance types based on historic data usage patterns. 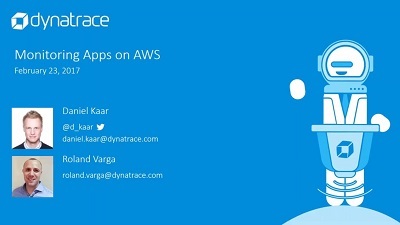 Simply connect Dynatrace with your Amazon Web Services account and start monitoring. You can choose key-based or role-based account authentication. That’s all there is to it. No more configuration! 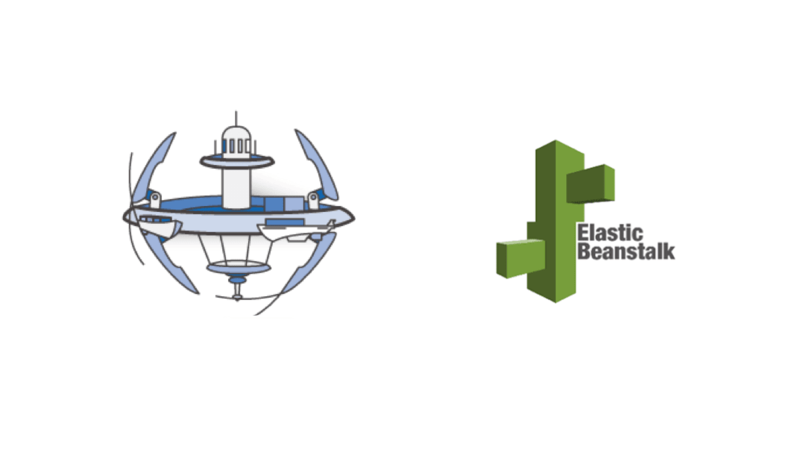 Dynatrace perfectly integrates with your Elastic Beanstalk environment. Start monitoring all Amazon EC2 instances managed by the Elastic Beanstalk platform using our simple integration. Get started with a simple script. Monitoring Docker clusters in Amazon ECS with Dynatrace is easy and straightforward. Configure your instances to install Dynatrace at startup. 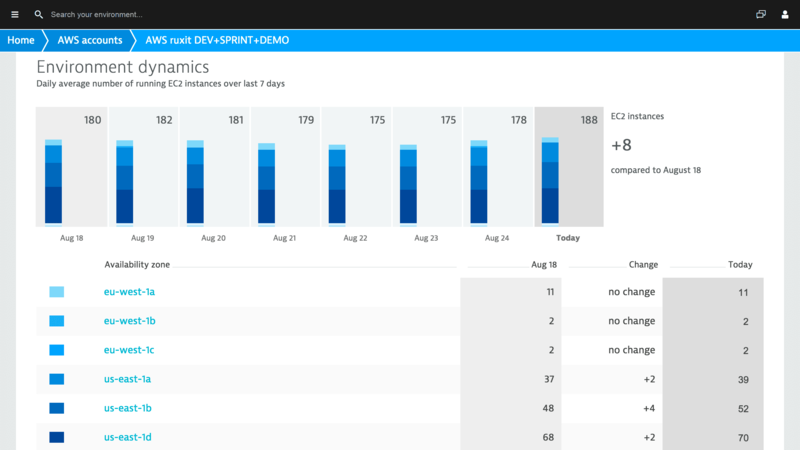 If you aren’t already using Dynatrace to monitor your entire stack, sign up to try it for free!